News of Innovative Securities - Why the richest are getting richer? There are several good answers to the question why the richest are getting richer. The top 1% is already in a great situation, but their investments help them a great deal. They favour equities because of their yields and dividends instead of putting all their money in real estate. Just as we usually advice to do so. We always hear that the wealth gap is increasing. It’s also common knowledge that the top 1% is growing faster than the rest. What are the main reasons behind this? Based on two recent papers, Bloomberg has some great explanations. The first important thing is that the richest own a lot of equities. The founders of IT giants, for example, usually own a great chunk of their company. It’s enough to think about how Jeff Bezos’ personal wealth is connected to the performance of Amazon. For many, equities are the riskiest type of assets. Stocks are connected to companies and, mentions Bloomberg, if a company goes bankrupt, they can be wiped out. “But it also has unlimited upside – the gains can, in theory, be infinite”, they write. There is another difference between the real estate investments of the richest and the middle class, we believe. The top 1% have the chance to have huge real estate investments. They use significant bank loans to create them, but they also earn quite well. Therefore, they can pay the loans back and still earn money, most importantly without using their own wealth. The middle class, on the other hand, usually use their own money. They also have smaller investments, use the estates for living purposes. This also creates a constant need of spending on their investments and earning a lot less. What’s more, even if many believe that real estate is the safest investment, stocks offer better returns in the long run. The second paper quoted by Bloomberg found out that “at the collapse of the housing bubble exacerbated wealth inequality, because stocks recovered more strongly than real estate did”. All this is in accordance with our main investment disciples. Generally, we advise investors to focus on a well-diversified, stock based portfolios instead of real estate. Our reasoning is: even real estate can lose a lot of its value fast. Real estate is not a liquid asset, therefore sometimes it’s hard to sell it at a good price. Stocks on the other hand usually hike higher even after corrections. Patience can be a good solution in those cases. 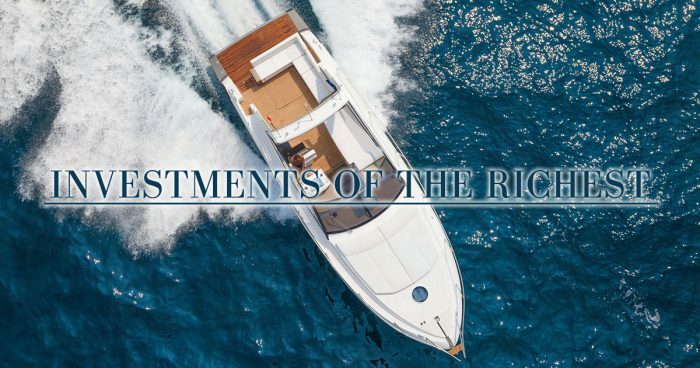 Although there are other – mainly tax based – reasons behind the growth of the top 1%, it also seems they invest in accordance with our main rules and their wealth proves them right.